Is Nursing a Dangerous Profession? 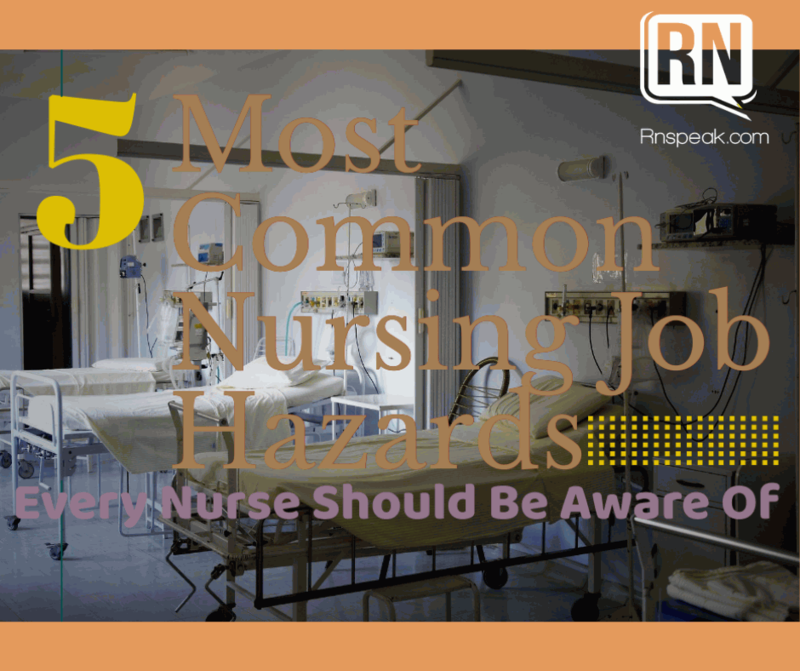 Every job has its own hazards, and that includes the nursing profession. Every day, nurses face various occupational hazards on the job which may vary from a minor scratch incident or to a very serious, deadly accident. According to the BLS, nearly 19,000 injuries were sustained while on the job during 2015 alone. These individuals may take days of sick leave after such incident, and even after they returned, it is likely that they would have difficulty fulfilling their jobs because they are still in pain. With this in mind, health care providers, especially nursing professionals, must be able to work on strategies for identifying and addressing serious workplace hazards. Sharp objects: One third of the injuries that occur in the hospital setting is related to sharp objects such as needles and blades. Nurses more often get injured than any other health workers by needles, so they must always be cautious whenever handling one. Nurses shall be knowledgeable of the correct and safe procedures for the management of sharps. What is a sharp injury? Sharp injury is defined as an injury wherein a needle or other sharp object that is contaminated with blood or other body fluid, penetrates the skin. Pathogens: Along with the risk of injury from needles comes the risk with blood borne pathogens. 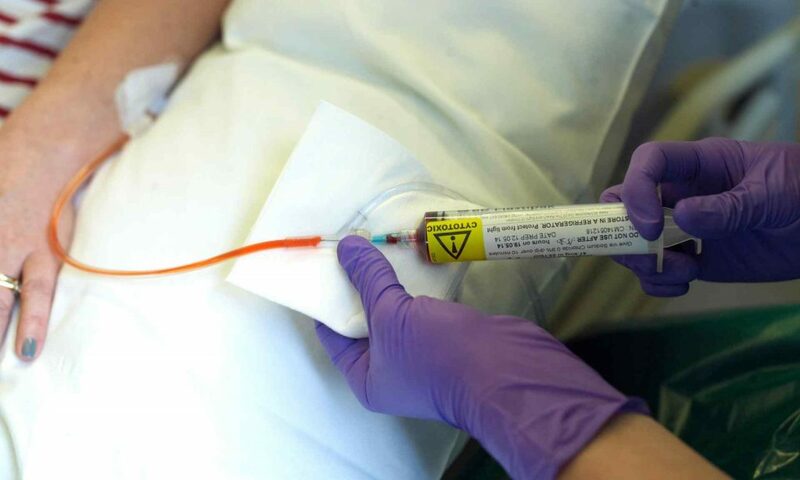 Needles can become the means for transmission of several conditions such as HIV, Hepatitis B and Hepatitis C. Whenever nurses get involved in a puncture incident, and must report the incident immediately. It is also important that they identify which patient was exposed to the same needle to identify whether it could be a source of any blood borne infections. Another risk is exposure to air borne pathogens. Diseases such as tuberculosis and influenza may be easily transmitted due to daily exposure to patients. It is important for nurses to have vaccines and immunizations that are up to date. Nurses must also follow the safety protocols for the area, observe proper hand hygiene, wearing the proper personal protective equipment and proper disposal of all used equipment and body fluids. Working for long hours (and possibly even longer hours) plus patients that are sometimes too stressful to handle are very stressful. What makes it more stressful is when the place you work for is short on staff and you have to make amends. These events may lead to irritability, job dissatisfaction, headaches and even a spike in the nurse’s blood pressure. Different traumatic events are inevitable in the hospital setting and this may also lead to post-traumatic stress disorder (PTSD). Employers must be aware of the risks of PTSD and on how to provide support if it happens. The Center for Disease Control and Prevention (CDC) explained the health and safety risks of sleep deprivation and its importance. CDC explains that working tired may result to a decline in the cognitive function and poor health behaviors (smoking, overeating). Irregular sleeping habits are also at a greater risk for cardiovascular disease, psychological issues and other health issues. To cope up with the stressors nurse may encounter, they must clearly define their roles and responsibilities in their workplace. 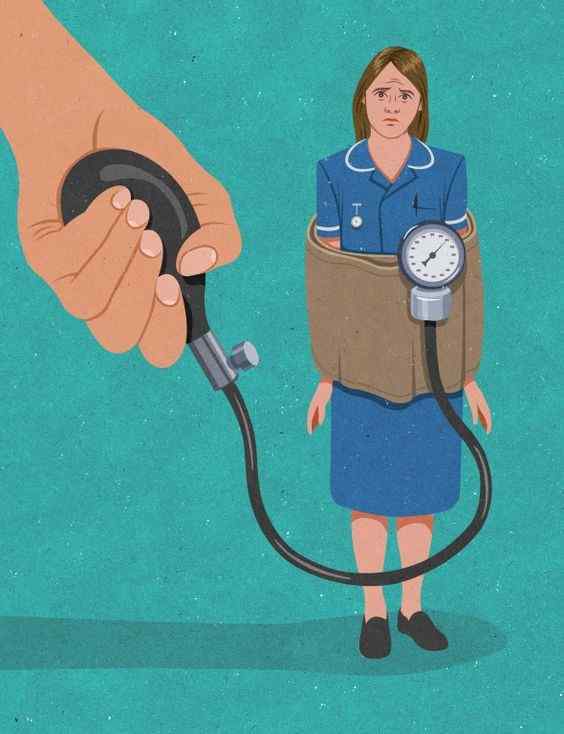 Employers must ensure that the nurse’s workload is reasonable and within the capabilities of the individual. 44% of all healthcare related injuries are from overused muscles, joints, tendons and ligaments. Lifting and turning patients all day may leave the nurse exhausted and may cause minor injuries such as sprains and strains. What may become a big problem is when these minor injuries are ignored and may occur over a long time, causing wear and tear of the knees and hips, resulting to a chronic injury that may hinder the ability of a nurse to perform their job. OSHA suggested the use of mechanical lifting machinery in moving patients or if manual lifting is unavoidable, the nurse must maintain a proper posture and body mechanics. It is also advisable that wearing good pair of shoes that could provide plenty of arch support and compression stockings may help. In addition to wearing comfortable shoes, nurses must also ensure that their shoes are slip-resistant. They must also be aware of their surroundings in order to avoid slipping, tripping and falling. CDC data shows that slips, trips and falls are the second most prevalent cause of injuries among healthcare workers. Nurses who are working in the radiology department or the ER are at a higher risk of exposure than the average. 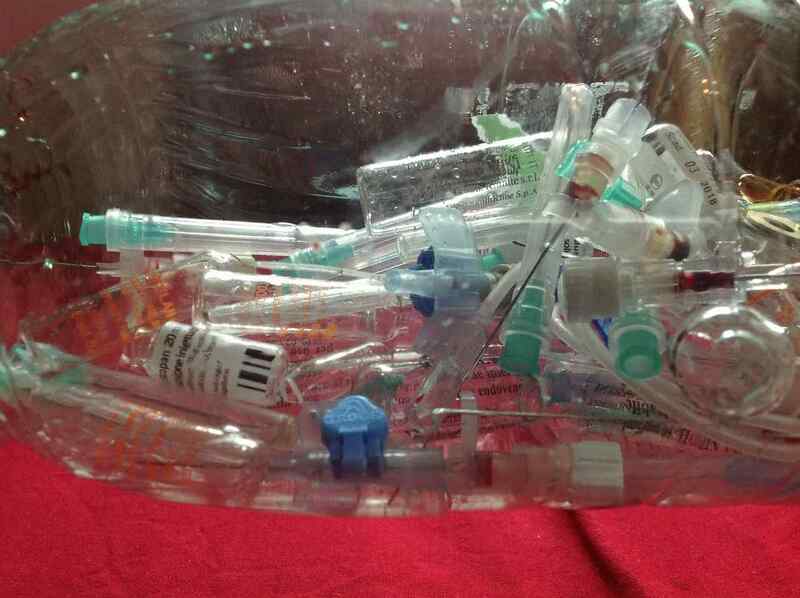 Also, nurses are exposed every day to various medications and cleaners. Sterilizing agents and chemotherapy drugs impose a significant health risk. Coming in contact with such chemicals are accompanied by serious side effects. This is especially toxic to nurses who are pregnant at the same time. When exposed to radioactive liquids or other toxic substances, one must file an incident report immediately and get testing done. A nurse must exercise proper caution at all times and follow proper protocols. 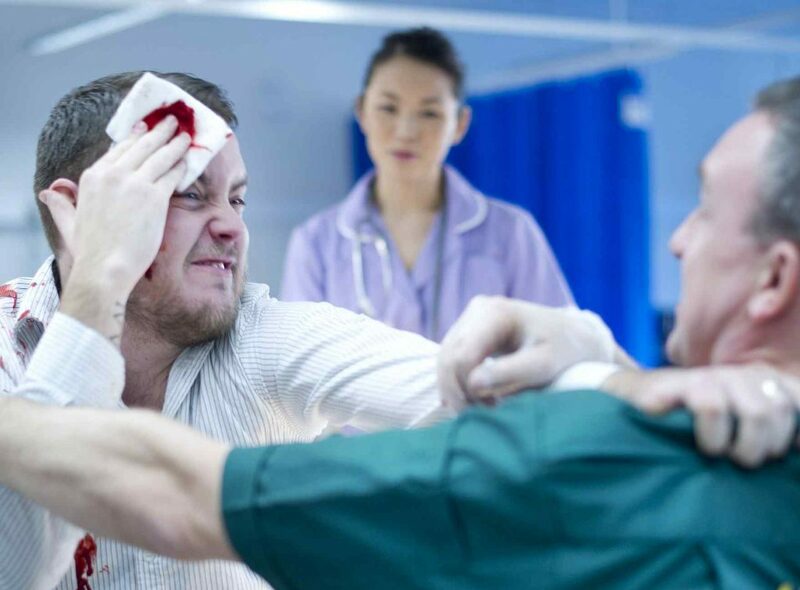 Nurses are more often the target of workplace violence or assault with the ER and psychiatric nurses having the highest rates of assault and verbal abuses. A lot of patients become aggressive due to mental disorders, medication side effects or electrolyte imbalance. A patient who may be high on drugs may gain some superhuman strength and may break all equipment it may see or reach. CDC suggests that nurses participate in a violence-prevention training and must report all physical assaults, verbal incidents or other threats to their employers. Nurses must always be on the lookout for these kind of patients and must always be ready. Nurses must be aware that the profession may get risky at times and must take steps to protect themselves from workplace health hazards. Nurses, while always placing the safety of patients as priority, must also consider their health as essential. Always remember that when you are healthy, well rested and safe while on the job, you will have more life and job satisfaction, which in turn will lead to better patient outcomes and quality of care.